“A force for good in the ballet world” (Wall Street Journal), Tom Gold is the founder and director of Tom Gold Dance. 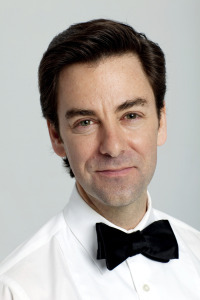 A 21-year member (1987–2008) of New York City Ballet where he rose to the rank of soloist, Gold has also performed with THARP!, New York City Opera, Donald Byrd/The Group and many other companies throughout the United States. At City Ballet, he performed leading roles in works by George Balanchine, Jerome Robbins, Lynne Taylor-Corbett, and William Forsythe. In 2002 Susan Stroman created the ballet Double Feature for Mr. Gold. In demand internationally as a guest artist, choreographer, and instructor, Gold has created more than a dozen original works for Tom Gold Dance as well as for Vassar College, the Bermuda Arts Festival, Oregon Ballet Theater, the New York City Ballet Choreographic Institute, and many other dance academies, companies, festivals, television, and special events, including the Macy’s Thanksgiving Day Parade, the Bravo series Odd Mom Out starring Jill Kargman, and the New York City Fringe Festival for which he won the 2016 award for Overall Excellence for his work in the Joey Variations: A Play With Dance. Gold has collaborated with composers John Zorn, Augusta Reed Thomas, and Thomas Lauderdale of Pink Martini, as well as numerous scenic and costume designers. He is the featured performer and choreographer of the 2wice Arts Foundation’s DOT DOT DOT, an interactive iPad application designed by Abbott Miller of Pentagram. Gold has been called “as fine a choreographer as…he was a dancer – perhaps better” (Critical Dance). He “sees dance, as Balanchine or Neumier, as a way to innovate and explore the boundaries of classical dance, pushing the envelope in a manner that is true to the fundamentals of the technique” (NYC Dance Stuff).